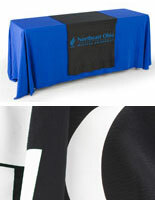 These promotional 30" wide table runners turn a plain table covering into a high-contrast branded event display. 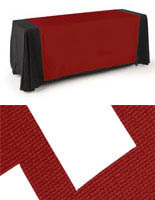 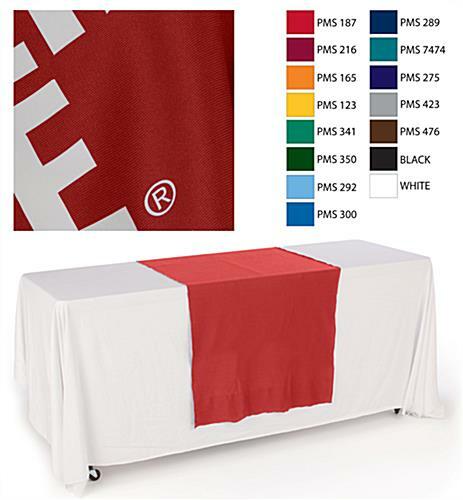 Made from bold red polyester fabric, each 30" x 80" tablecloth comes with a customized 1-color vinyl imprint for branding or advertising information. 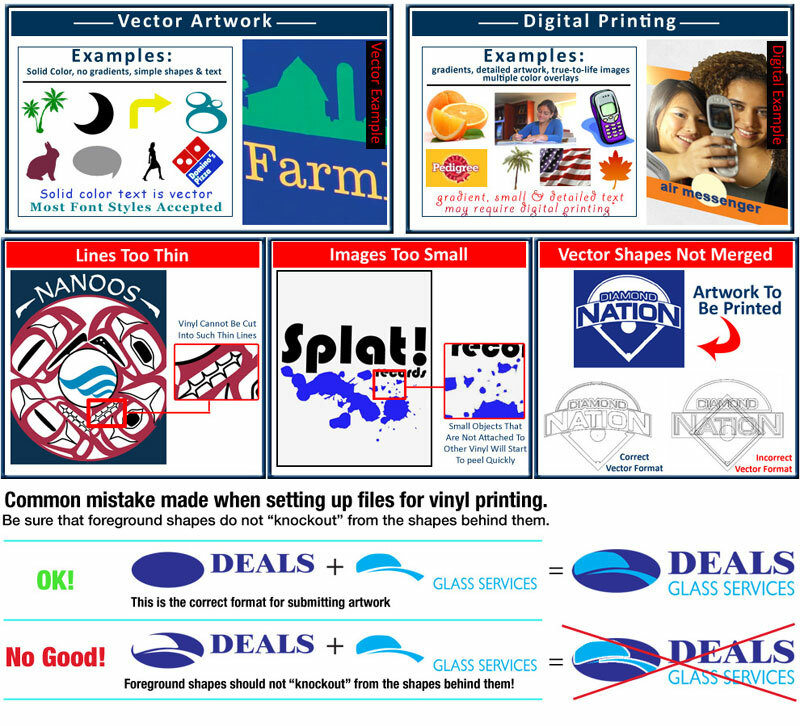 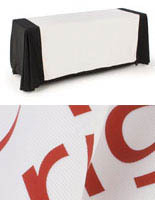 The custom printed 30" wide table runners are ideal for use at trade shows, banquets, or other special events. 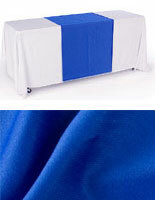 Each machine washable throw is designed for use with a variety of fixture sizes. 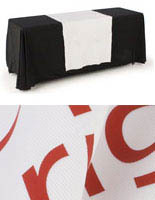 The red polyester 30" wide table runners are a great way for any business to showcase a branded logo or advertise merchandise lines. 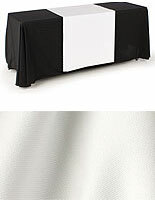 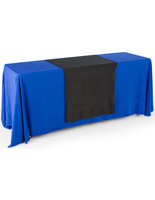 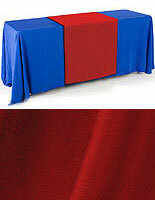 These narrow-width trade show linens are an economical alternative to full-size tablecloths.